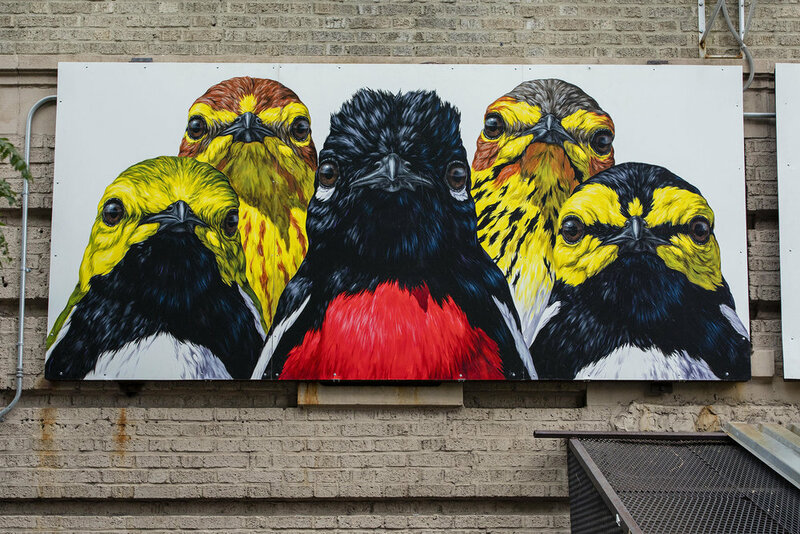 Over the course of a year, we had the privilege of working with one of our favorite artists, George Boorujy on an installation for our Audubon Mural Project. 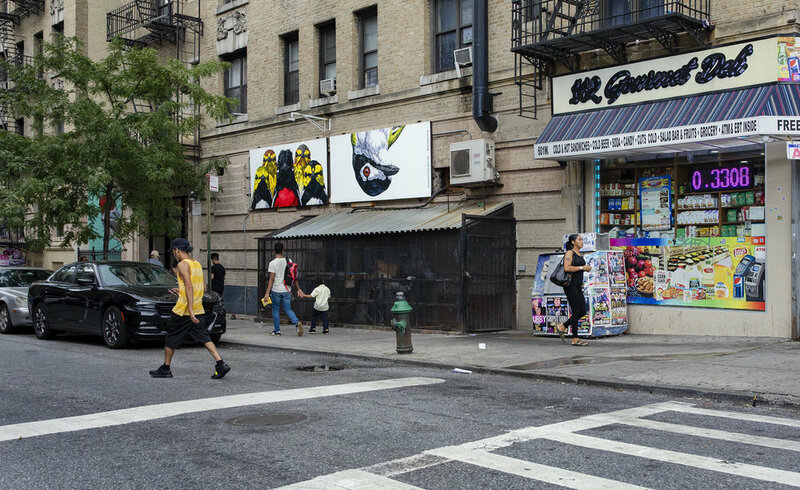 As part of this two panel installation, George painted two 11’ paintings, which are now installed at Broadway and 162nd St. in Manhattan. 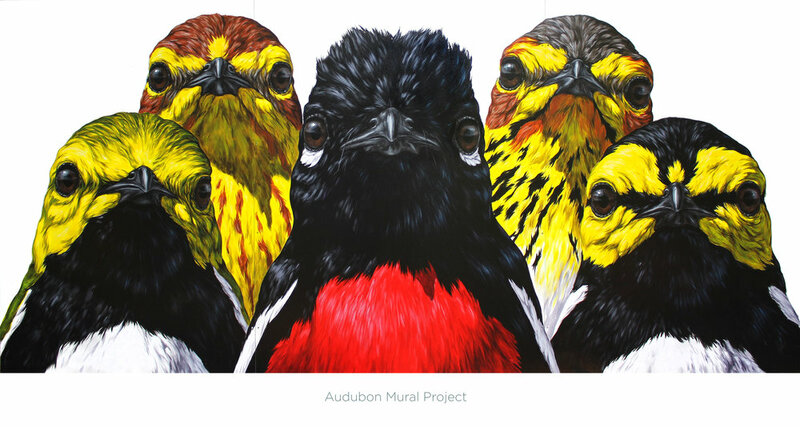 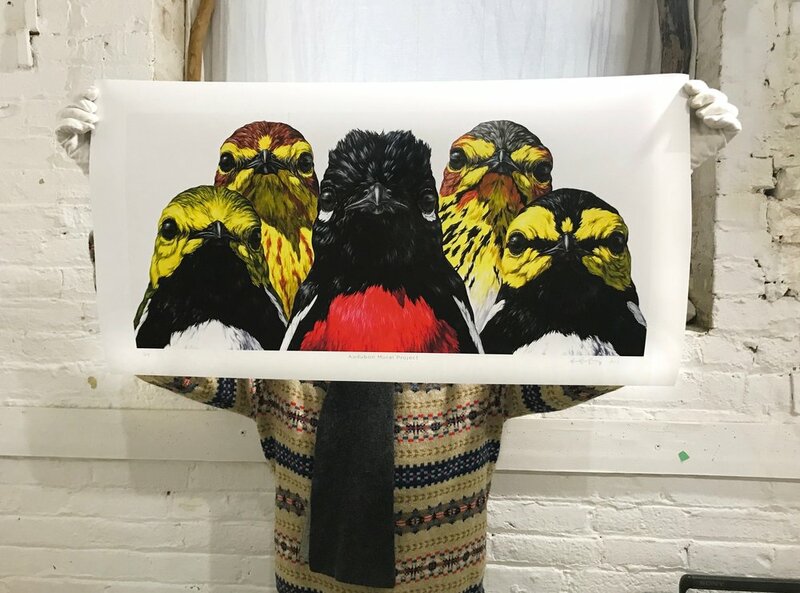 We were so struck by George’s Gang of Warblers (Black-throated Green Warbler, Palm Warbler, Painted Redstart, Cape May Warbler, and Golden-cheeked Warbler) that we decided to make our first print to benefit the Audubon Mural Project. 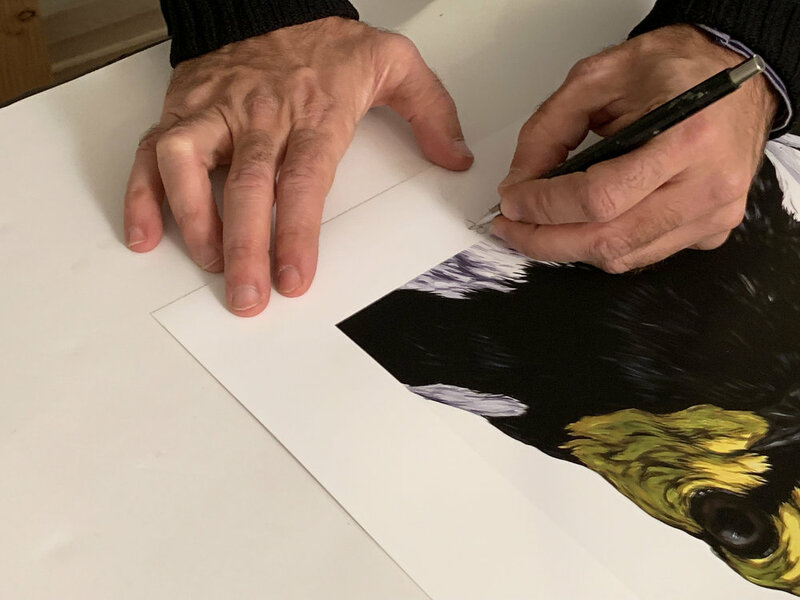 Thanks to the fine work of master printer Stephen Gross, we’re thrilled with how it came out, and we know you will be too.